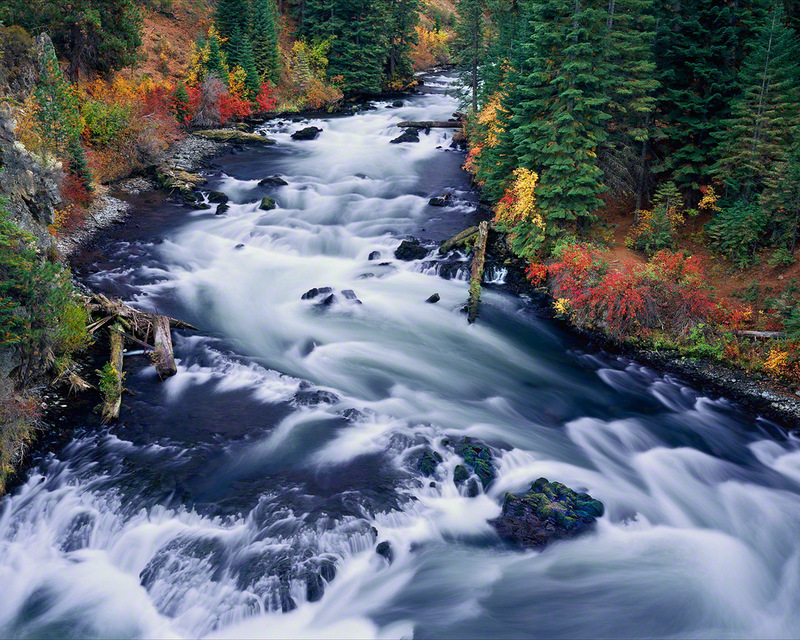 This Print of the Lower Deschutes River is the perfect gift for the steelhead fishing enthusiast in your life! Oregon’s Lower Deschutes River is know throughout the United States as being a phenomenal Steelhead fishing river. I have patrolled the Lower Deschutes River for years trying to find a composition which best captures the essence of this rugged and beautiful Oregon River. 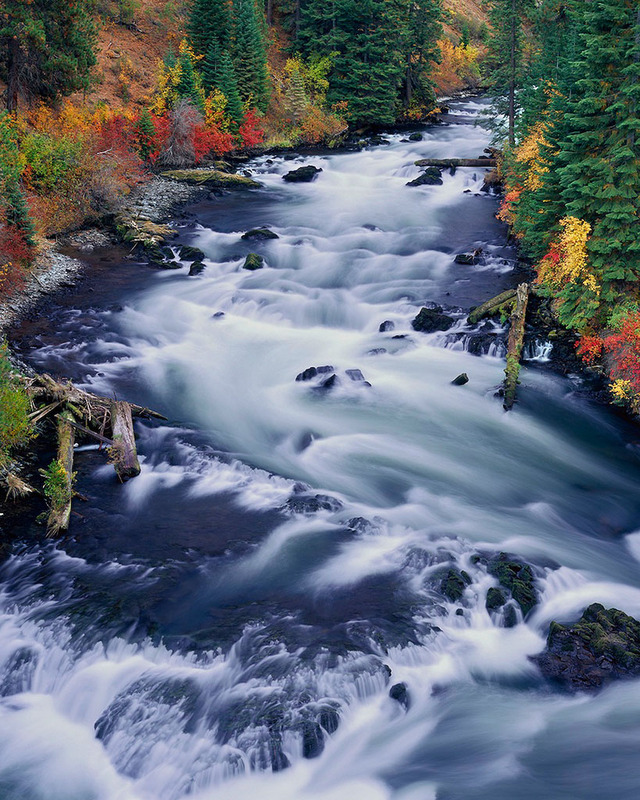 As a professional landscape Photographer and occasional Steelhead fisherman, the Lower Deschutes has a few defining characteristics. 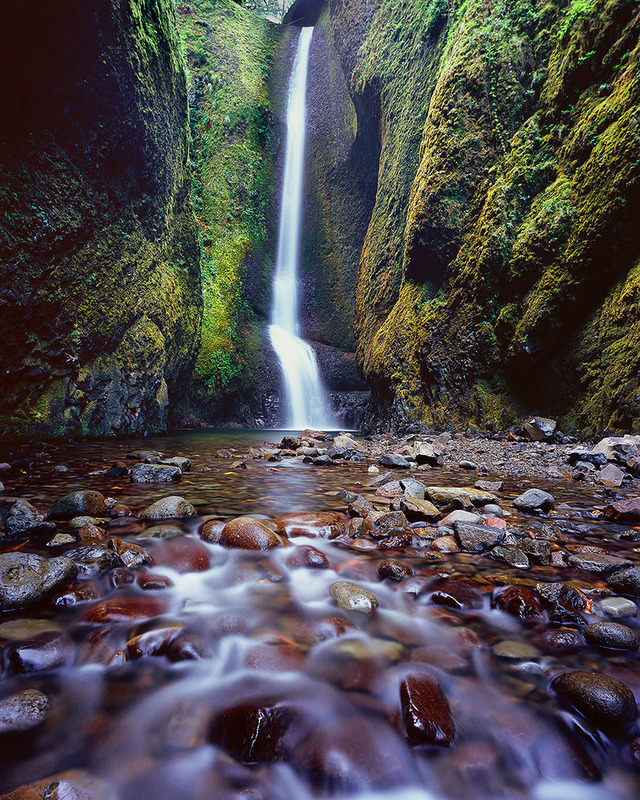 Rugged Canyon walls that give it an austere beauty. 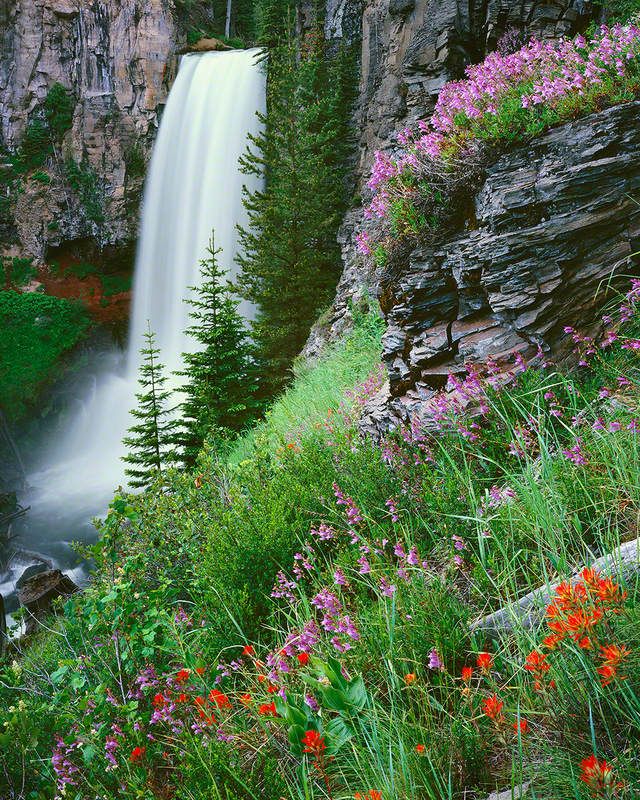 The Deschutes is especially beautiful in spring, when the Canyon can be laden with the color of Wildflowers such as balsamroot and lupines. Occasional mountain views, in this instance, you can see Mt. Hood in the upper right hand corner of this photo of the Deschutes. The Deschutes River is over 250 miles long. 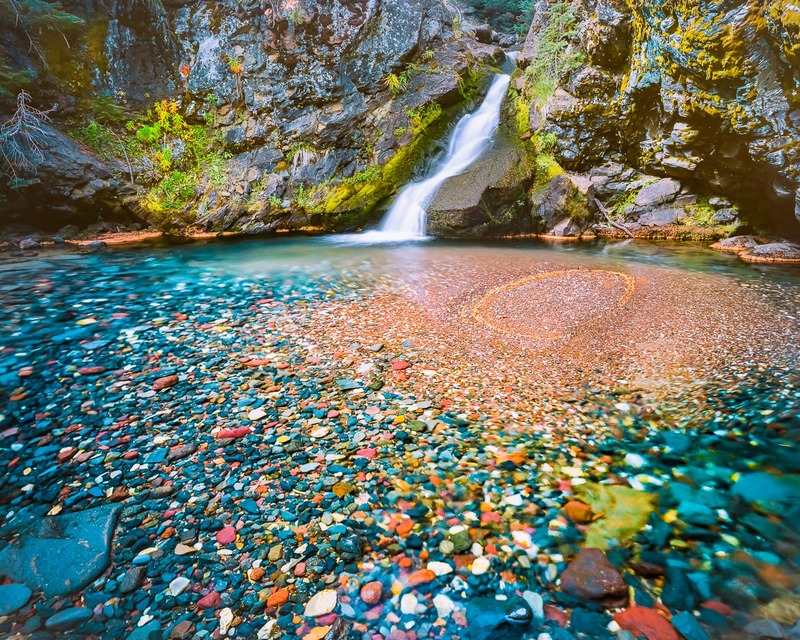 It’s headwaters are in Little Lave Lake located along the Cascades Lakes Highway, South of Bend, Oregon. Little Lava Lake is near larger and more popular lakes such as Sparks Lake , Elk Lake and Hosmer Lake. 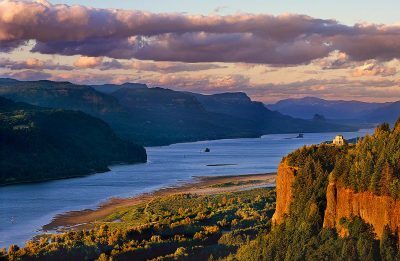 It briefly travels south then east and then, strangely, north until it reaches the beautiful Columbia River Gorge. The Deschutes River is divided into three sections. 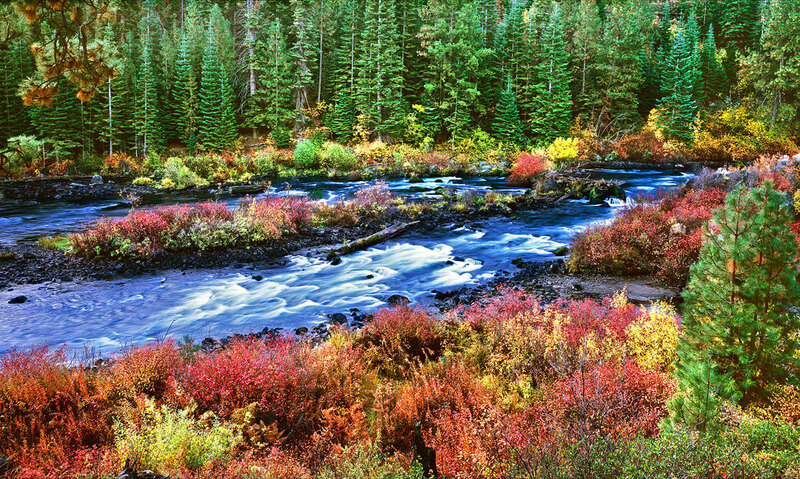 The Upper Deschutes River extends from Little Lava Lake to the City of Bend. The Middle Deschutes River extends from Bend to Lake Billy Chinook where is converges with the Metolius River and The Crooked River. 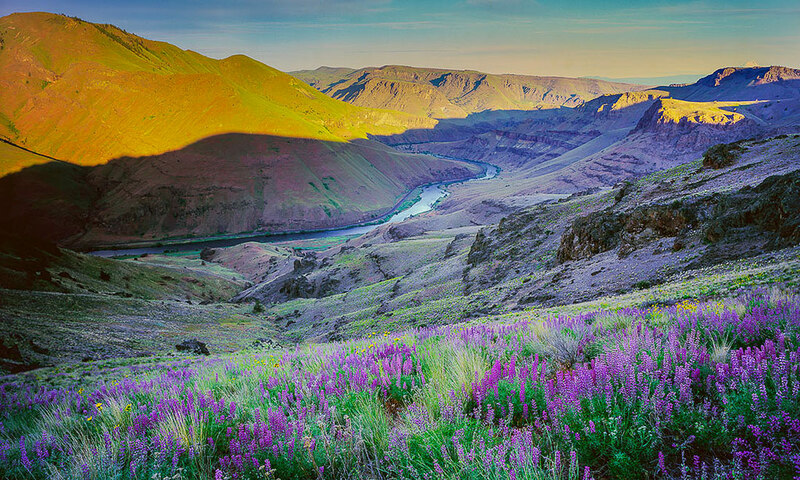 Lower Deschutes River, pictured in this beautiful fine art print extends from Lake Billy Chinook, to the Columbia River. Several fine non-profit groups, including the Deschutes River Conservancy and the Deschutes Land Trust have helped re-establish population of Steelhead( sea-run rainbow trout) and Chinook Salmon back not the Deschutes River as well as the Metolius and Crooked Rivers. Their efforts are essential to the maintenance of healthy river ecosystems. 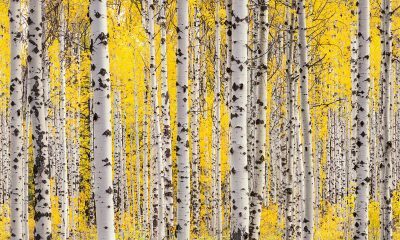 If you have an appreciation of the Central Oregon’s Rivers, Please visit their websites and consider making a contribution.